There’s nothing like good thick homemade Dahi! It’s always a struggle for most expats to make Homemade Dahi or Curd at home! But I am here to spill the secrets! 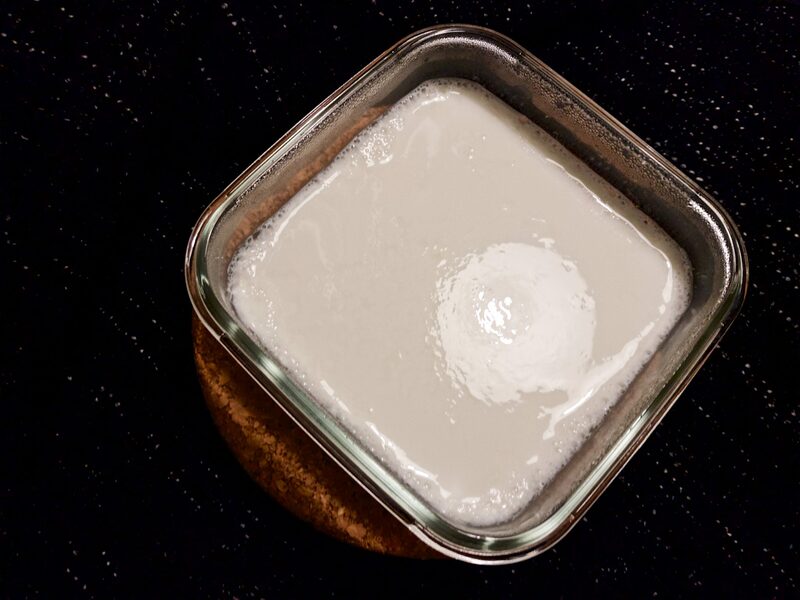 As much as I like the readiness of store-bought Yogurt cups, it just never comes close to Homemade Dahi or ‘Curd’ (how most Indians refer to it!). It’s not that the taste is the only deciding factor here. Of course store-bought Yogurt is consistent and always thick and strangely doesn’t go sour for days together in the fridge. But the experience of making something from scratch that, for me, sets (get it?) Homemade Dahi apart! But how does one do it? 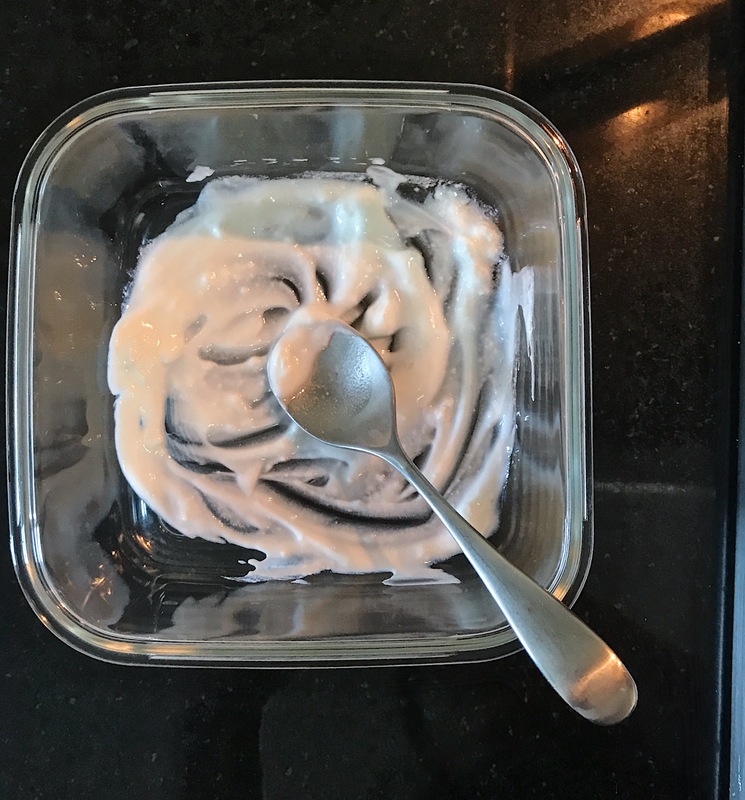 A lot of expat friends struggle to make perfect homemade yogurt which seems like a child’s play when we’re back in India. Dahi often comes out as something that can be described as slimy, runny, ropey and of course, not completely set even after hours! What’s the secret to making perfect homemade Dahi? A simple step thatwe often miss when we’re abroad is boiling or heating the milk enough. We consume milk straight from the cans or tetra packs when we’re in not in India because we trust the label when it says that it’s been pasteurised. But in India we boil milk regardless of whether it came in a milk packet from a dairy (that is also pasteurised) or was delivered as raw whole milk by a gwaala (milkman). 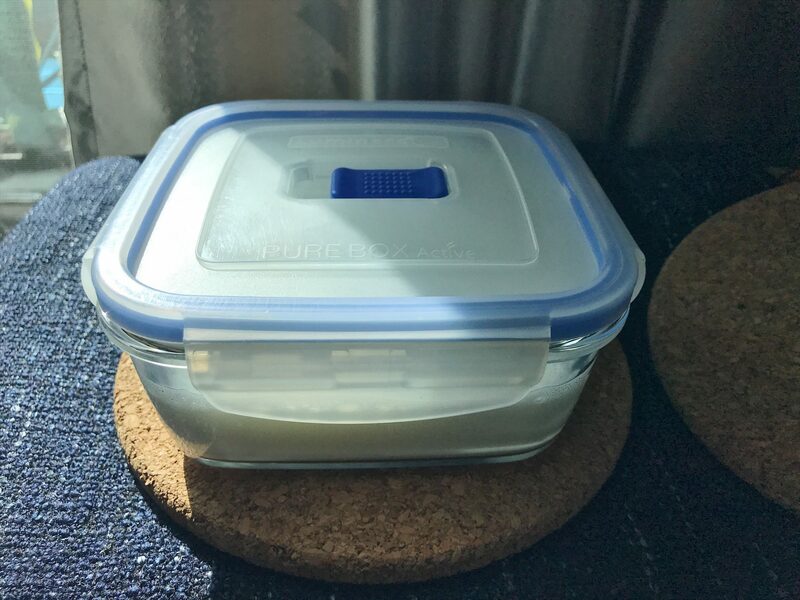 After a bit of reading on a nearly ten-year old thread on making yogurt/ Dahi at home, I learnt that heating the milk to about 40-45 degrees C helps destroy a bacteria that’s already present in milk. That bacteria doesn’t let the lacto-bacillus (the good bacteria we want for making Dahi) thrive. This is something that we anyway do when we boil the milk in India. When we don’t heat the milk enough and try to introduce the bacteria to set the curd, the result is a lacey, gooey Dahi that is barely set. It is just not firm enough. Although it tastes okay but the consistency of this kind of curd is not satisfactory. I have used such failed curd batches by making lassis and smoothies to avoid wastage. One could make kadhi with it too but that calls for sour yogurt. Introducing the bacteria when the milk is too hot results in sour curd that has a lot of whey (dahi ka paani). Not heating the milk enough results in lacey/gooey/stringy Dahi. Using Low fat milk or skim milk may result in Dahi that’s not firm enough. Keeping the milk in a cool place or not covering it doesn’t allow ambient temperature for the bacteria to thrive. Adding a bit of sugar helps to introduce something for the bacteria to feed on and thrive. This is optional of course! Room temperature is also something that plays a role in making perfect Dahi. In cold weather or air-conditioned rooms, you may need to place extra tea towels or a warm scarf or throw to keep the vessel warm. Where as if it’s hot, you may not need to use any towels at all. Keep the jar/vessel in a place where it stays UNDISTURBED for 5-6 hours. Always make a batch when you are in the house to monitor it. If you’re not around or keep it overnight, it may result in delay in refrigeration of the Dahi. Refrigeration is an important part as it helps to make the Dahi slightly firmer. Now the question is do you call it Curd or Yogurt? In India we’ve always called it Curd or Dahi. But Curd also refers to the general process of curdling and making cheeses. So Paneer, technically, is a curd! In the west however, the term used is always Yogurt. Kanika and I discussed this and found out that commercially produced yogurt has always had additional culture besides Lactobacillus. Strains of Streptococcus thermophilus are added along with Lacto-bacillius to make yogurt in the commercial dairy plants. Kanika adds that the neighbourhood mithaiwalas or halwais might not have used added cultures but also their quantities were less in comparison to the current scale of commercial production. I have to admit that the first few times I made Dahi at home, I struggled too. 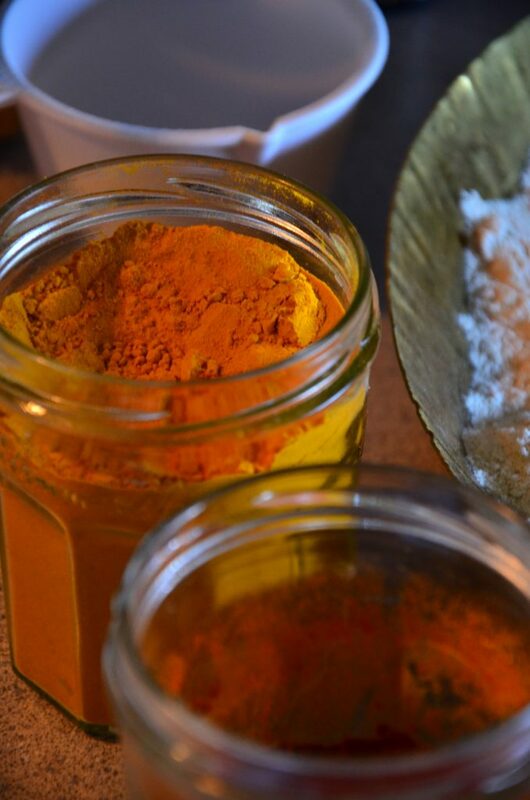 But after some advice from my mom and some online blogs, I kept using subsequent cultures (jaamun, jaag or khatta as we call it in India) and it resulted in better results. It is something that comes with practice so don’t give up. Here’s how I make the perfect Homemade Dahi at home now. 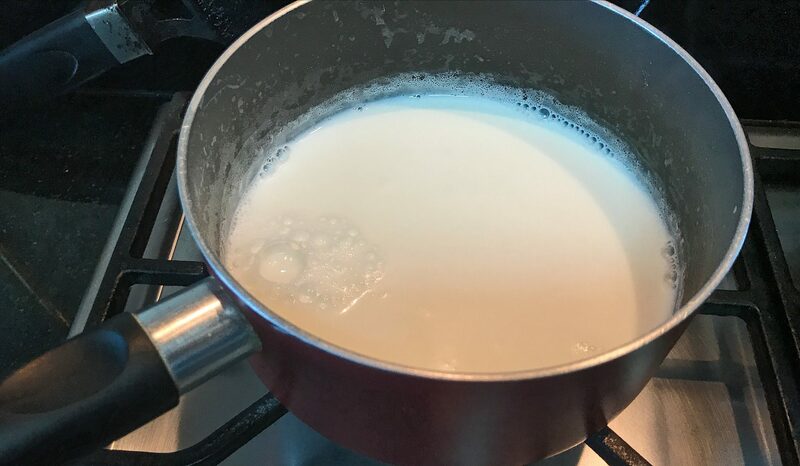 In a saucepan or a pateela, heat the milk to a boil or till it is steaming hot. Keep the heat on medium high and monitor for any spill overs. If you are using sugar, this is the time to add it and stir it in. Let the milk cool for about 5-10 minutes. 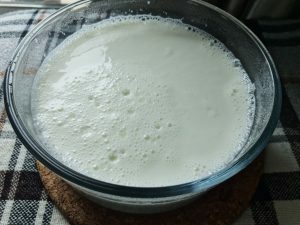 Till then prepare a clean vessel or jar/bowl with a lid for transferring the hot milk for setting the curd. I used a glass container with an air tight lid. In the clean vessel, place the teaspoon of jaag and spread it to break any lumps. I do this to ensure even distribution throughout the milk. To some of you, it may sound like mumbo-jumbo but sometimes when the milk is not too hot, the jaag may not dissolve properly or evenly. Jaag/ Jaman/Starter/Khatta ~ What do you call it? After 7-10 minutes, with clean dry hands, test the temperature of the milk. It should be comfortably hot and definitely not less than your body temperature. If you use a thermometer in the kitchen then you can measure. Ideal temperature should be 38 to 47 degrees C.
Pour the hot milk in the vessel and stir well. Now cover the vessel with a lid and place it on an open tea towel that you can flip over it to cover. If you’re putting this in an air-conditioned room or if you live in a cold country you can place this in an oven. You should keep it in a place where it will be undisturbed. I keep it on a table next to a large sunny window in the house and because we run the air conditioner all the time (We live in a desert!) I even cover the vessel with a throw to keep it warm. Leave the vessel/jar undisturbed for 5-6 hours. For me, most batches take 4 and a half to 5 hours to set in the Dubai summers. Our room temperature is usually around 24-25 degrees C. This may vary for you depending on the your weather conditions. You could place it a slightly preheated oven to ensure it stays warm. In 5 hours, uncover the vessel and gently tap the sides to check if the contents jiggle. If they do, then maybe then need some more time. If you’re confident it is set, you can place it the fridge to let it cool. Enjoy this Perfect homemade Dahi in your meals as a side or in a nice cooling sweet or salty lassi. I use it in smoothies and it is also mandatory on the side of a loaded Aloo Paratha in our house. And if you’re feeling confident about setting mishti doi, let no one stop you! Pour the hot milk in the vessel and stir well. Now cover the vessel with a lid and place it on an open tea towel that you can flip over it to cover. If you're putting this in an air-conditioned room or if you live in a cold country you can place this in an oven. You should keep it in a place where it will be undisturbed. I keep it on a table next to a large sunny window in the house and even cover the vessel with a throw to keep it warm. In 5 hours, uncover the vessel and gently tap the sides to check if the contents jiggle. If they do, then maybe then need some more time. If you're confident it is set, you can place it the fridge to let it cool. Using Low fat milk or skim milk may result in dahi that's not firm enough. Keeping the milk in a cool place or not covering it doesn't allow ambient temperature for the bacteria to thrive. Room temperature is also something that plays a role in making yogurt. In cold weather or air-conditioned rooms, you may need to place extra tea towels or a warm scarf or throw to keep the vessel warm. Where as if it's hot, you may not need to use any towels at all. Always make a batch when you are in the house to monitor it. If you're not around or keep it overnight, it may result in delay in refrigeration of the Dahi. Refrigeration is an important part as it helps to make the Dahi slightly firmer. A nice thick batch of perfect homemade Dahi!